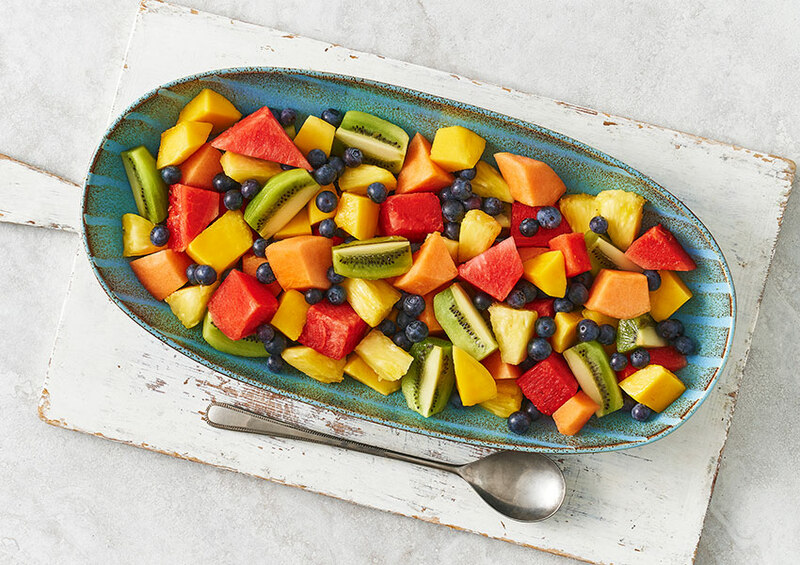 A luscious selection of pineapple, melon, mango, watermelon, kiwi and blueberries. Pineapple (26%), Melon (21%), Mango (20%), Watermelon (18%), Kiwi (12%), Blueberry (3%). Pineapple, melon, mango, watermelon, kiwi and blueberry. Safety - Although every care has been taken to remove all seeds and pips, some may remain.